After a patent has issued, and it no longer is possible for the patentee to control the phraseology of his claims, the courts will so interpret them, if possible, as to protect him; but there is no reason as we many times have observed, why an applicant in the Patent Office should not draw his claims to cover his actual invention only. For this reason we have uniformly ruled that claims will be given the broadest interpretation of which they reasonably are susceptible. This rule is a reasonable one, and tends not only to protect the real invention, but to prevent needless litigation after the patent has issued. In the intervening eighty years, the CCPA and then the Federal Circuit repeatedly and vigorously upheld the BRI rule. The Federal Circuit upheld the BRI rule after a challenge based on Markman, a major Supreme Court decision on claim construction. The Federal Circuit now applies the rule to all Patent Office proceedings (except those involving expired patents), including examination of applications, interference proceedings, reissue applications, and reexamination proceedings. The Patent Office cites a desire for a unitary standard as justifying application of the BRI rule to issued patents in postgrant review, where application of the rule is more controversial. Because the courts have vigorously upheld the BRI rule, I acknowledge that the Patent Office must apply that standard now. Nevertheless, this article makes “a nonfrivolous argument for the extension, modification, or reversal of existing law or the establishment of new law.” As explained below, even if the BRI rule made sense in 1932—and it is not clear that it ever made sense—the BRI rule no longer makes sense. Curiously, although the Patent Office and patent courts have upheld the BRI rule, neither Congress nor the Supreme Court has expressly endorsed its use. Yet the Supreme Court has repeatedly “cautioned that courts ‘should not read into the patent laws limitations and conditions which the legislature has not expressed.’” The BRI rule is precisely the sort of judge-made condition that the Supreme Court cautioned the courts against applying. Contrary to binary standards for claim construction, the Patent Act sets forth a unitary system for both examination and litigation. Section 100 defines “invention” the same for both examination and litigation. Section 282 commands the courts to use the same statutes in litigation (i.e. 102, 103) that the Patent Office uses as “conditions of patentability.” Section 282 further commands the courts, like the Patent Office, to use section 112. That section requires claim language to be “full, clear, concise, and exact.” Sections 102, 103, and 112 do not distinguish between examination and litigation. After failing to find support in the Patent Act for the BRI rule, one might expect to find support in the Patent Office’s regulations and expertise. But, with limited exceptions, these regulations fail to establish the BRI rule as the general standard for claim construction of patent applications. The BRI rule only appears in the regulations governing the duty of disclosure and the postgrant validity trials. The fact that Patent Office regulations are largely silent about the BRI rule is not surprising. The Patent Office, unlike some federal agencies, generally lacks the power to make substantive rules. The Federal Circuit holds that the Director has no power to regulate the interpretation of substantive patent statutes: “101, 102, 103”—and “112.” Nor do Patent Office regulations contain such interpretations. The inclusion of the BRI rule within the regulations for the duty of disclosure and postgrant validity trials is also not surprising. Congress made limited grants of power to the Director related to the duty of disclosure and postgrant validity trials. No similar grant exists for general examination outside of such narrow contexts. In view of the above, the Patent Act and Patent Office regulations generally do not support dual standards of claim construction. The BRI rule also represents questionable—and certainly dated—policy, as explained below. Let’s begin with an obvious puzzle about the BRI rule. The courts allege that the BRI rule makes claims more precise and thereby “prevent[s] needless litigation.” Yet the BRI rule divorces claim interpretation in examination from claim interpretation in the courts. Multiplying standards for claim construction would seem to cause more fights over claim construction, not less. Nor is there any evidence that the BRI rule reduces litigation. Patent litigation begins with the difficult, yet paramount, task of claim construction. Application of the broader BRI rule in the Patent Office does little to inform, much less “prevent,” the claim construction part of the litigation process. The BRI rule actually raises needless questions about claim construction. For one, the BRI rule raises the question of whether, and to what extent, the claims have the same meaning under the BRI as they do under a presumption of validity. Consider the following example. Suppose that a claim in court, under the presumption of validity, has a scope indicated by the green circle (including the yellow circle within it). If the Patent Office used the same standard as the courts, then the claim would have the same scope there, which the red circle indicates. (The red and green circles are the same size.) Instead, the Patent Office uses the BRI standard, which may enlarge that scope from the red circle to the blue circle. Suppose, however, that the blue circle is so large that it ensnares prior art. Now the inventor must amend the claim to specify, with more verbiage, the red circle. The question arises: how does this amendment affect the scope of the claim in court? Presumably, the amendment narrows the scope of the claim in court to something smaller (i.e. the yellow circle). Otherwise the amended claim language would be superfluous. In other words, the BRI rule applies to the claim both before amendment and after amendment. The amendment does not relieve the claim from the BRI so that the claim collapses into the same scope in both the Patent Office and the courts. Indeed, a fundamental error in the policy behind the BRI rule is that the rule alters scope in an attempt to alter precision. One rationale for the BRI rule is that “ambiguities should be recognized” and “clarification imposed.” But it is hornbook law that breadth—even undue breadth—is not indefiniteness. By the same logic, the BRI rule and the amendments that the rule encourages do not enhance a claim’s precision; they simply alter the claim’s scope. The BRI rule shifts the boundaries of the circles, but does not clarify them. Even if the BRI rule enhances precision along one dimension, the BRI rule reduces precision along other dimensions. The amendment may make the claim more precise as to a single term but less precise overall. In the above example, proponents of the BRI rule would note that the amendment clarified that the claim avoided the prior art. But that only enhances precision under the BRI standard. What is the scope of the claim under the presumption of validity? The green circle? The yellow circle? Something else? The BRI rule reduces clarity along these other dimensions. Dual standards of claim construction are a high price to pay for clarifying claim amendments. In view of the above, the BRI rule undermines the notice function of patent claims. If the claims mean the same during examination and litigation, then the public can rely more on statements about the claims in the intrinsic record. If the claims have different meanings, however, then the intrinsic record is less helpful. The BRI rule places a cloud over any statement about the claims in the intrinsic record, because the record is made under a different standard of claim construction. To be sure, the Federal Circuit encourages the courts to rely on the intrinsic record, when necessary, to construe the claims. But this is somewhat paradoxical, because the intrinsic record is made under a different standard of claim construction. The intrinsic record is, therefore, less helpful than under a unitary standard of claim construction. The Federal Circuit also applies prosecution history estoppel and disclaimer to statements and amendments made by the inventor during examination. But these doctrines do not resolve the ambiguities that I outline above. Moreover, the doctrines of estoppel and disclaimer do not apply to statements by examiners and administrative patent judges. For example, a Board judge might say that the claim scope is the blue circle. In court, one cannot rely on that statement as proving that the claim has that scope, because the statement was made under a different standard of claim construction. Perhaps, instead, the claim has the scope of the yellow circle or the green circle. Nobody knows without further litigation. The decreased ability to rely on the intrinsic record undermines the notice function of patents. This is especially problematic after the Supreme Court emphasized the importance of the notice function to proper claim construction in Markman and Warner-Jenkinson. In fact, the Federal Circuit repeatedly cites the BRI rule to justify relitigating—and invalidating—patents that the courts previously upheld. So, the BRI rule has created “needless litigation,” which is the exact opposite of what the CCPA intended. So, even without considering the changes that have occurred in the last 80 years, the BRI rule never made much sense. In fact, however, major changes in the patent field also undermine the alleged rationale for the BRI rule, as explained below. As quoted above, the CCPA could not see any reason “why an applicant in the Patent Office should not draw his claims to cover his actual invention only.” That was 1932. Now it is 2012. There are myriad reasons why inventors might not want to amend their claims—even if the amendments are intended to be merely clarifying. First, the Patent Office now has a policy of compact prosecution. Earlier in the 20th century, it was common for patent examiners to issue non-final rejections repeatedly. After each non-final rejection, the inventor could amend the claims. That is no longer true. Sometime in the 20th century, the Patent Office adopted a policy of “compact prosecution.” According to that policy, most second rejections are made final. Then the inventor cannot amend the claims without paying fees. Second, Congress changed the law to ensure that claim amendments do not just cost money, but also cost patent term. In the 1990s, Congress amended the Patent Act to provide for continued examination and patent term adjustment. 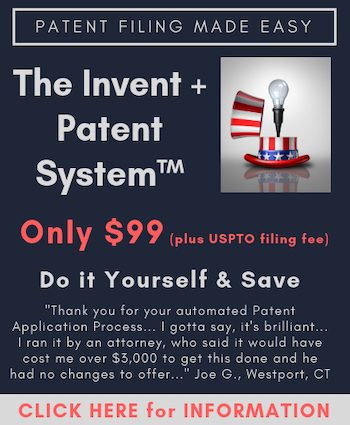 According to the Patent Office, an inventor must now pay a $930 fee to amend the claims after the typical second, final rejection. In general, once the inventor pays that fee, the inventor’s roughly 17 year patent term starts counting down like a clock. Third, the Supreme Court decided the Festo case on the doctrine of equivalents (DOE). Patentees value the DOE, because it effectively enlarges the scope of claims. In Festo, the Supreme Court created a presumptive bar to the DOE when inventors amend their claims. With narrow exceptions, the presumptive bar denies application of the DOE to amended claim language. The proponents of the BRI might argue that each of these developments in the law is fair and just, and so the BRI remains good policy. The proponents might argue that money and patent term are a fair price for claim amendments. And they might argue that the DOE should not apply when applicants cannot rebut Festo’s presumption. Each of these conclusions is controversial. More importantly, these three developments (compact prosecution, PTA, and Festo)—fair or unfair—simply did not exist when the BRI rule was created. The CCPA justified the BRI rule on the fact that inventors had “no reason” not to amend the claims. Now several reasons exist. In addition to these problems with claim amendments, other changes also undermine the rationale for the BRI rule. As quoted above, the CCPA wrote that patentees could not amend their claims. In a technical sense, that was not true. Patentees could correct patents through reissue as early as 1875. Even if patentees could not amend their claims in 1932, they can certainly do so now. In 1980, Congress enabled patentees to amend their claims through ex parte reexamination. In 1999, Congress enabled patentees to amend their claims in response to an inter partes reexamination. After the last stage of patent reform, patentees will have a variety of options for amending their claims: reissue (which remains available), supplemental examination (which can cure inequitable conduct), ex parte reexamination (which remains unchanged), inter partes review (which replaces inter partes reexamination), and two kinds of postgrant review. Many important patents are under parallel consideration in both district court and the Patent Office. The latter enables the patentee to amend the claims (even if that ability varies in scope among the different postgrant proceedings). The ability to amend the claims of issued patents weakens the rationale for applying the BRI to claims before an application is granted. Of course, even if patentees can now amend their claims, patentees still have excellent reasons for not doing so. In addition to preserving the DOE, patentees may wish to avoid claim amendments to preclude an infringer from asserting intervening rights. Moreover, the patentee’s ability to amend claims in reexamination and postgrant validity trials is severely limited. Lastly, the Patent Office holds that patentees are estopped from later securing claims that they fail to secure in a postgrant validity trial. Each of these is a reason why the patent owner might not want to amend the claims, and, therefore, a reason why the BRI rule should not apply to postgrant proceedings. In sum, the BRI rule never made much sense. The rule tries to enhance precision through claim amendments. But even if the amendments provided a benefit, the benefit is outweighed by the huge costs outlined above—costs in terms of clarity and notice to the public, as well as the patentee’s time, money, patent term, claim scope (through the doctrine of equivalents), intervening rights, and continuation rights. The solution to the problem of the BRI rule is to replace it with the only rule that is natural and makes sense. After 80+ years of inventors suffering under the BRI rule, it is time for Congress or the Supreme Court to say: regardless of whether the patent application has been granted, the claims mean the exact same thing. Always. I owe thanks to my mentor and friend Dan Tanner for making thorough and invaluable comments on earlier drafts of this note. In re Horton, 54 F.2d 961 (CCPA 1932) (citing In re Carr, 54 App. D.C. 283, 297 F. 542, 543). In re Morris, 127 F.3d 1048 (Fed. Cir. 1997) (citing Markman v. Westview Instruments, 517 U.S. 370, 116 S.Ct. 1384 (1996)). Kuppenbender v. Riszdorfer, 104 F.2d 791 (CCPA 1939). Claim construction during interference proceedings involve some nuances not relevant here. Apparently, the BRI rule will also apply to derivation proceedings. 77 Fed. Reg. 56068, 56075 (Sep. 11, 2012). In re Reuter, 670 F.2d 1015 (CCPA 1981). In re Yamamoto, 740 F.2d 1569 (Fed. Cir. 1984). See, e.g., 37 C.F.R. § 11.18 (b)(2)(ii). Bilski v. Kappos, 130 S. Ct. 3218 (2010) (citing cases). 37 C.F.R. §§ 1.56 and 1.555. 37 C.F.R. §§ 42.100(b), 42.100(b), 42.300(b). Tafas v. Doll, 559 F.3d 1345, 152 (Fed. Cir. 2009). 35 U.S.C. § 2 (b)(2)(D) (see also §§ 32 and 33). 35 U.S.C. §§ 316 and 326. Markman, 517 U.S. at 384-385. Stumbo v. Eastman Outdoors, Inc., 508 F.3d 1358, 1362 (Fed. Cir. 2007) (citing cases “denounc[ing]” the practice of construing claims to render some language superfluous). See Bey, Dawn-Marie et al., supra note 8, at 310. See In re Zletz, 893 F.2d 319, 321-22 (Fed. Cir. 1989). In re Miller, 441 F.2d 689, 169 USPQ 597 (CCPA 1971). Markman v. Westview Instruments, Inc., 517 U.S. 370 (1996); Warner-Jenkinson Co. v. Hilton Davis Chemical Co., 520 U.S. 17 (1997). In re Baxter Intern., Inc., 678 F.3d 1357 (Fed. Cir. 2012); In re Construction Equipment Co., 665 F.3d 1254 (Fed. Cir. 2011). 35 U.S.C. §§ 301-307 (1980). 35 U.S.C. §§ 311-318 (1999). Pub. L. No. 112-29 (2011). Did you write this up before yesterdays colloquy between Rader and Newman in Flo Healthcare v. Kappos ? If I understand you correctly, one question may be whether it is “reasonable” for the Patent Office to demand that the inventor give up more scope than would be necessary once the patent issues and is protected by post-issue cannons of claim construction. Is that correct? This has been a work in progress for a while. Kip gave me the green light to publish before the events of yesterday. I wanted to get it out there ASAP in light of the latest case. I’m sure we will be circling back and discussing this issue more. As for Kip’s position, I’ll let him chime in on that. Yes, I wrote this before Flo Healthcare. I thought of changing the article to update it based on Flo Healthcare, but decided against it. In Flo Healthcare, Newman repeats her position that the BRI is not a rule of law. She has said that at least once before. As far as I know, she is the only CAFC judge who holds that view. But it’s important, because she basically agrees with me that there should be a single rule of law for claim construction. Yes, absolutely. Why should the inventor have to amend his claim from the green circle, if the green circle is valid in court? The courts cite one policy reason for this requirement. But it’s outweighed by about a dozen policy considerations in the other direction. Also, just to be clear, I’m attacking the policy ground, and the statutory ground, of the BRI rule. I might say that it is “unreasonable” – but that is separate question from the question of whether the CAFC should use the “reasonable” standard of review, when reviewing PTO claim interpretation. The latter is the issue raised in Flo Healthcare. These issues should be kept separate. Kip, what is your opinion of the BPAI’s “precedential” decision in In re Miyazaki where the BPAI essentially held that during prosecution the determination of whether a claim is clear and definite is/will be different from the determination in litigation of whether a claim is clear and definite (i.e. amenable to at least two plausilbe constructions during prosecution vs. insolubly ambiguous during litigation)? Most of the problems with your article come to a head in your last sentence, “the claims mean the exact same thing. Always.” That’s NEVER true — the reason that claim construction is such a fraught exercise is that there is no “one true construction.” Even successive panels of the Federal Circuit don’t always agree on the “one true construction” in successive appeals! One source of the problem is the multitude of “canons of claim construction” — because there are so many, almost always there are two that pull in opposite directions on most key limitations. Then there’s the practical reality that examiners have only a finite amount of time. Would you have an examiner consult the entire intrinsic record and the relevant extrinsic evidence to interpret every limitation for every rejection? I sure hope not. Would they have to write out the “one true interpretation” for every situation in which there’s more than one possibility? Would you train every examiner in every canon of construction? Your proposal would have very bad consequences in the commercial post-issue life of patents. “Broadest reasonable interpretation” forces amendments, and those amendments and explanations are crucial to competitors who have to evaluate a patent post-issue to determine right to operate. If you’ve carefully analyzed some number of file histories (do you have any litigation practice? Do you write any opinion letters? Do you counsel competitors with their design-arounds? That’s where you learn to read a file history. ) you’ll see how the broadest reasonable interpretation rule forces clarification. The sad fact is that way too many applications start out with claims that are pretty bad, and it’s only because the BRI rule gives examiners such broad authority to force amendments, that most patents end up with claims that are reasonably definite, at least at the key points. Thanks for getting us all to think about this a bit, but I for one am glad I can counsel my post-issue clients based on patents that went through broadest reasonable vetting. D. has been questioned by at least one PTAB judge in a dissent/concurrence. Nevertheless, to the extent the PTO bases Miyazaki on the BRI rule, I have to agree that the courts currently bless the BRI rule. * See Tafas. I’m not sure if the prohibition only applies rulemaking in the CFR, or to BPAI “common law” as well. I don’t know enough about the law of federal agencies to say. ** The BRI standard actually might avoid indefiniteness, because it commands the Examiner to use the “broadest” of multiple interpretations. There is no such command under a presumption of validity. I agree that, as a practical matter, it is very difficult to achieve “one true” construction of claim language. That said, I still think that we should strive for that ideal. That is, essentially, what the courts strive to do in every case under the presumption of validity. There’s no reason why the PTO can’t do the same. You raise concerns about PTO overhead in using the same standard as the courts. I think these concerns are overblown. First of all: absolutely, yes, the Examiners should consult the specification, and also know the canons of claim construction. As far as I know, this is current PTO policy. There is nothing about the BRI rule that excuses the Examiner from consulting the specification or the canons of claim construction. Both the MPEP and case law (e.g. In re Morris) require the Examiner to do both. For what it’s worth, Chris Cotropia and I have written articles (different ones) agreeing with your view that the interpretation should be the same. Each time the caselaw divides something inherently unitary unnecessarily into two (or more) parts the objective of legal certainty is damaged. Take for example literal infringement and infringement by equivalent. Where is that, in the Statute? Does not the Statute contemplate nothing more complicated than a binary Infringement Y/N? Why make things so complicated. Why not just keep it simple? Or take obviousness. Can that be any more than a binary Y/N? In Germany, until recently, they had one “level” of obviousness for their 20 year term utility patents and a different, lower level for their 10 year term utility patents. But then the discovered the impossibility (and legal gobbledygook) of sustaining the difference. Or take the meaning of the claim. We know it has to be the same for infringement as for validity (“What comes before….what comes after” and all that). For it to mean one thing at the PTO and something else in DC is to my mind complicating the law unnecessarily. Europe requires claims to be “clear”, Art 84 EPC. But Art 84 cannot be used after issue to attack the validity of a duly isued claim. Good so. Otherwise, no issued claim would ever be free from assault, frivolous or not. After all, wWhen was any duly issued claim ever 100% “clear”? But of course, many claims as filed are unclear because they are ambiguous, deliberately or inadvertently. Of course the PTO has to resist such claims going to issue. How best to do that? BRI of course. Nothing could be more murky than “clear”. Even “murky” is clearer than “clear”. Interesting read – thanks for the food for thought, Kip! Comparing the extremely small number of Fed. Cir. cases even contesting the proper scope of BRI for applications and post-grant proceedings in the PTO [when claims can still be amended to clairify their scope over prior art] to the rampant numbers of conflicting Fed. Cir. decisions and dissenting opionions on claim scope for litigated patents [even after In re Phillips, with some of the judges even wanting to limit claim scope to spec examples], I fail to see how changing to a litigation claim scope “standard” will bring clairity or consistency to PTO claim prosecution? I would agree that in “theory” claim interpretation should be the same in patent prosecution and litigation. But the “realities” in these two environments are very different. In patent prosecution, what’s being evaluated is the VALIDITY of the claims. At the start of prosecution, the boundaries of the claims are not exactly fixed, especially as to what the various claim terms mean. In fact, during prosecution the claims are interpreted somewhat in a vacuum against the prior art that does not necessarily include what those claims might cover in terms of infringement. But in litigation, the claims are being interpeted both for INFRINGEMENT and VALIDITY (and claim interpretation should definitely be the same for both infringement and validity). That means that how the claims are interpreted for INFRINGEMENT purposes will also color how those claims should be interpreted for VALIDITY purposes. In addition, what’s done or said during prosecution will further color claim interpretation for both INFRINGEMENT (including DOE) and VALIDITY purposes. I’m not saying that BRI is necessarily the correct rule (I’m in Newman’s camp that it is an initial tool to be used during prosecution), but the environments for interpreting claims during prosecution versus litigation are quite different for at least the reasons I’ve state above. This difference also isn’t unique to claim interpretation. The Graham factors are supposed to also govern patent prosecution, but how many times do you hear the Examiner (or even the applicant) discuss factor 3, i.e., what the level of skill in the art is? Would removing the “penalty” effects of loss of DOE with amendments make BRI more palatable? I cite your article in two endnotes. I wasn’t aware of the other article – thanks for the head’s up! 1. I think (but can’t be sure) that there are just fewer PTO patent appeals than from the district court. 2. As noted in Flo Healthcare, one line of precedent gives deference to PTO claim construction under a “reasonable” standard. 3. Some judges on the CAFC may have a “why don’t you just amend the claim?” philosophy, which is problematic for the numerous reasons I explain above (time, money, patent term, Festo – not to mention the inherent problems with narrowness not equaling clarity). Don’t get me started on the level-of-skill Graham factor. I would have to agree with EG here. At the end of the day you are negotiating with different human beings (different examiners) at the PTO. What is unreasonable to one examiner may be “reasonable” to a second one. That is the reality and one has to live with it. I have had examiners throw at me many an incredibly unreasonable position re BRI. However, from a practicality point of view, you have to do what is best for the client at the moment, financially or otherwise. So if that means adding further language to please the examiner, no matter how unreasonable his/her BRI is, so be it. You do it and move on. Theory doesn’t help. I agree that amendments are sometimes in your client’s best interests. The courts currently uphold the BRI. As long as they do that, we have to cope as best as we can. My article is arguing for a modification/revision of existing law. I think it’s unlikely that the courts/Congress will actually revoke the BRI rule any time soon. I think you have it backwards – you cite Chris’s but not mine – that’s OK though… 🙂 Hope mine adds some flavor for your views. Yes, that’s what I meant! I will check yours out now.